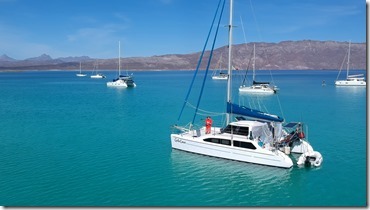 Late January and it’s time to begin planning for our 2019 Baja cruise. Everything is a bit sketchy at the moment but we’re beginning to make some plans. Details soon. I think we will have another boat by the time you head out this year, so hopefully we can hook up with you for a week or two on the other side. It has been a long time since Dave and Kelley went with us on the Grey Goose and we cruised with you for a while.